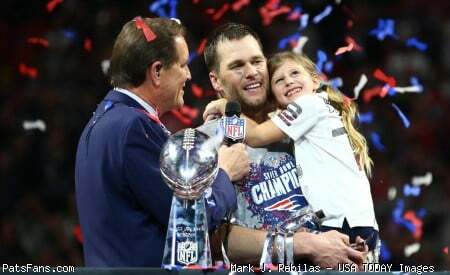 I wish him well ... he was a good Patriot ... nice to see his career continue. Unexpected for him to move that far away from the NY area in terms of family. His market must have been really pretty bad. All the best and thanks for the memories. Maybe didn't hit the ceiling we hoped for but was still a large part of a couple of championships. Thank you very much for your time and good luck with Cam I think this could be a good fit. Edit: It's a Rapsheet tweet, can we get some actual confirmation? Definitely lost a step or 2 last season but was still an excellent signing for us. Good luck in Carolina. He exceeded my expectations in 2016 and 2017. I didn’t expect what he gave the team. But he clearly lost a step in 2018 and was getting next to zero separation. Ironic that in 2018 he did almost nothing but without the almost nothing we don't win the Super Bowl. Humongous catch against KC in the playoffs. Aside from when he parted the red seas in Pittsburgh. Good for him! Solid landing spot. Had a great run here and was a huge part in two and nearly three rings. BIG catch in KC to get us to #6. Was best for both sides he moved on after a weird season, I’ll be rooting for him! Few times he was open, Brady missed him. Never seemed to be on the same page. I wish him luck with his new team. Him and Tom havent been on the same page. Honestly best for both parties. Something just wasnt clicking and this is the draft where the Patriots should select at least 3 pass catchers. Most memorable performance. Good luck 7-11.